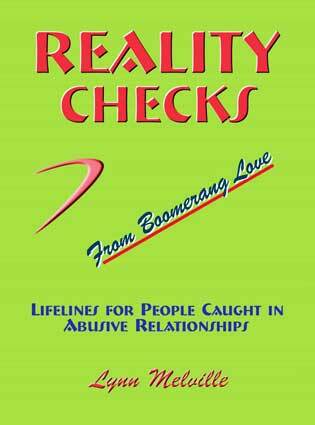 A compilation of many of the hard-hitting truths published in Breaking Free from Boomerang Love, this second book is a companion to the first. This is your first aid kit to carry in your briefcase or purse for moments when you need support and only have a few minutes to drink in the words. Take a quick dip into Reality Checks and get back on your path again, feeling confident and empowered. Available in print version or downloadable e-book. Click here to order - and get a free half-hour consultation with author Lynn Melville.